If you were keeping tabs on the haps at this year’s CMJ Festival – you probably heard a good bit about Dent May. 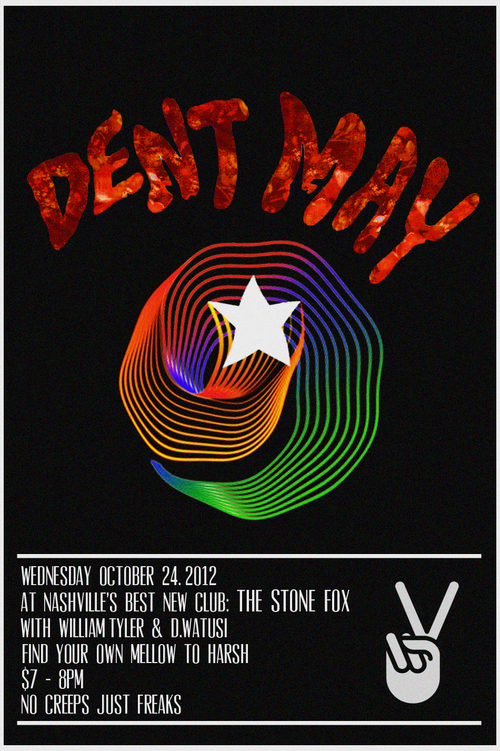 Him and Mac DeMarco seemed to be this year’s winners [Yes, it is a competition] Anyhow – Dent and the boys are on their way back down to Mississippi but they’re stopping in at The Stone Fox tonight for a quick party. Alongside them will be D. Watusi and William Tyler – who did a little bit of CMJing himself this year at the Merge Records showcase. We talked about Dent’s latest album – Do Things – a little while ago here on Nashville’s Dead, but if you’re still yet to snag it you can go do so here. And you can check out the video for “Best Friend” off the new album right down there. See you tonight!